True details, powerful colors, and long-lasting mounting. 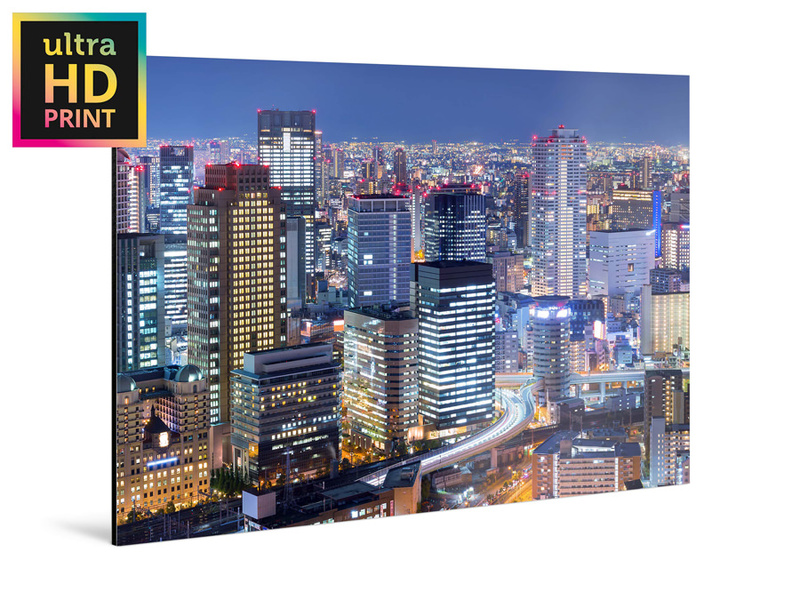 With the new photo paper that we developed together with the pros at Fujifilm, we are taking our ultraHD photos mounted on aluminum to the next level in quality. Experience ultraHD with more luminosity and contrast than ever before. When it comes to making sure those pesky halftone dots are not visible to the naked eye, the only option is classic exposure on light-sensitive photo paper. 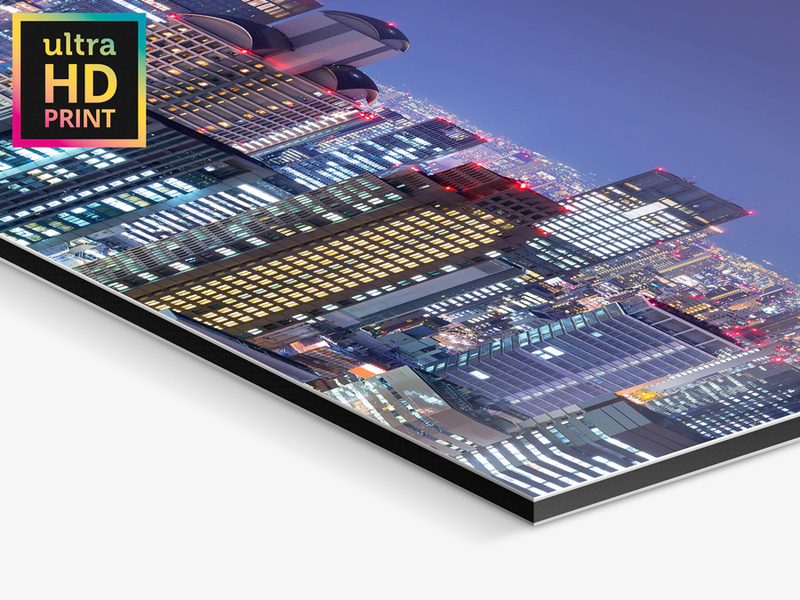 For our ultraHD Photo Print On Aluminum Dibond, we had already revolutionized the conventional exposure process. To make an even greater leap forward in quality, the experts at Fujifilm have developed a brand new photo paper. 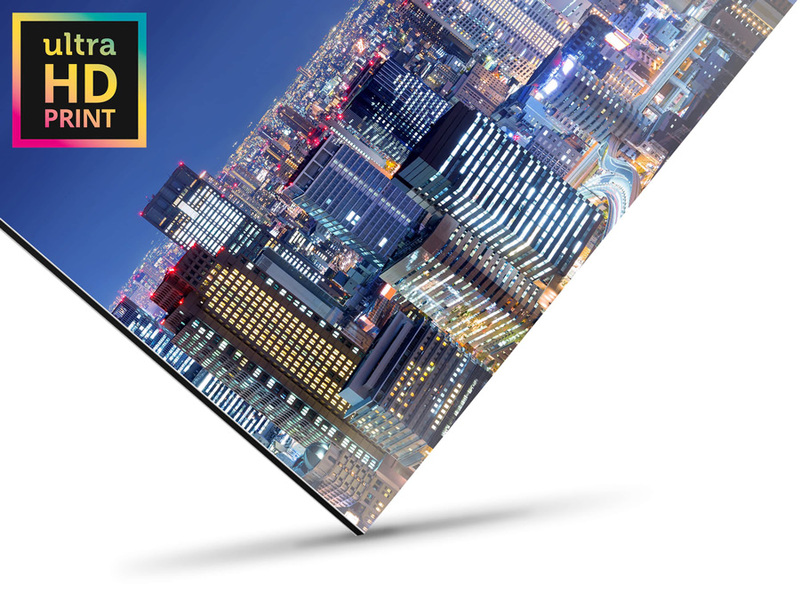 Fuji Crystal Professional Archive Maxima paper is tailored to meet the demands of ultraHD! The special WhiteWall software optimizes your image file for the special exposure process to ensure razor-sharp results. 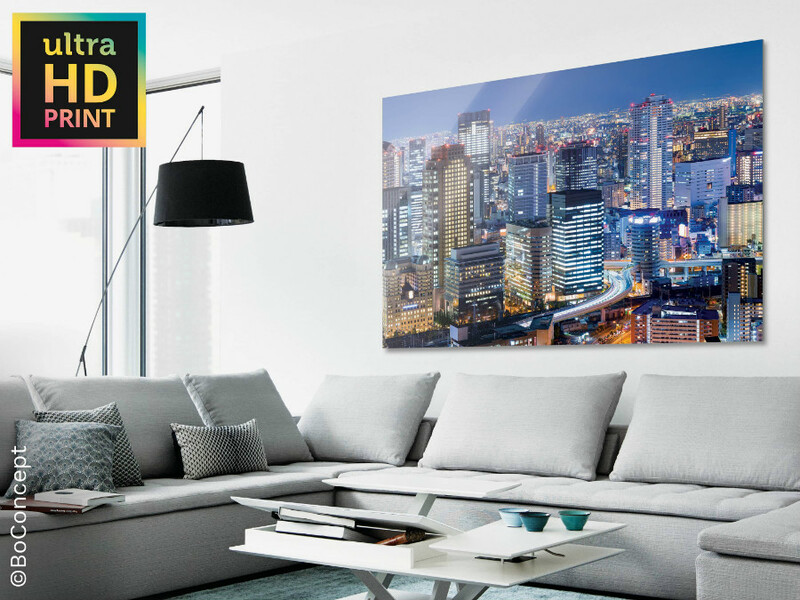 In large formats or even viewed up close, the ultraHD Photo Print On Aluminum Dibond is known for its outstanding image quality. The finest details are reproduced realistically with precise contours and clear contrasts. Our special developing process utilizes every last bit of information from the image file in order to reproduce the details and colors with unbelievable realism. Your ultraHD Photo Print is developed on the tried and true Fuji Crystal Professional Archive Maxima photo paper. The backing is 1/8” (3 mm)-thick aluminum Dibond. A composite material with three layers, Dibond ensures maximum stability but weighs very little. You can choose between a glossy or a matte surface for your ultraHD Photo Print On Aluminum Dibond. The matte surface prevents glare, whereas glossy maximizes color intensity. Both surfaces are laminated with a UV protective film that makes them resistant to light. The increased light-resistance of the new Fuji Crystal Professional Archive Maxima photo paper even holds up against LED spotlights. With the new ultraHD Photo Print, the volume of the color space has also been increased by an additional 21%. Darker and very saturated colors in particular are more brilliant and depicted with more detail. Alongside the lifespan, the luminosity of the colors is markedly intensified, perfectly bringing out real lighting conditions. Need a clear border for your picture? You can always find the perfect frame at WhiteWall. We make over 100 frame models in custom sizes in our in-house frame workshop. Whether you prefer wood or aluminum; a natural look or added color; traditional frames, floater frames, or an ArtBox – we have the right frame for any photo. In any size.